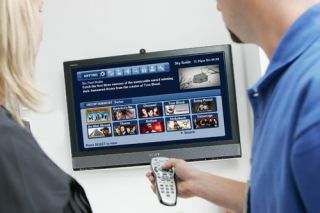 Sky planning set-top box overhaul to support Ultra HD 4K TV | What Hi-Fi? Ultra HD 4K TV support and cloud-based recordings are among the innovations being planned by Sky in response to competition from video streaming services, according to a new report. The Sunday Telegraph says that a special unit, Project Ethan, has been established by the UK-based company in order to overhaul its set-top box technology. It's claimed that Sky is currently working on new software and hardware that will support Ultra HD 4K TV with the growing number of sets now available. Sky has already made its first move into Ultra HD 4K TV, with a successful broadcast of an English Premier League match last summer. In other news, Sky is looking at the possibility of letting viewers watch both recorded and on-demand video across a variety of devices through cloud technology. The multi-screen technology, as it's described, will see the Sky+ service stored centrally by Sky, not on the hard disk of the set-top boxes. Content can then be accessed via the cloud. Project Ethan is Sky's response to the arrival of new players in the video streaming market on these shores – or in Netflix's case, introducing Ultra HD 4K streaming to the UK market. This year has already seen the long-awaited launch of Google's Chromecast dongle to the UK and the announcement that Amazon was entering the streaming battle with the new Fire TV.